My name is Curtis Browne, and I hope to see a United Kingdom Revival! I am 31 years old. I live in Newcastle upon Tyne, in the UK with my beautiful wife, Mariam. We have three sons, Franklyn, Myles, and Samuel, and a new-born daughter, Alani. Currently, I serve as a fire-fighter which I have done for eight years. it Is a great opportunity to be out in the world helping and praying for people. However, God has called my wife and me into church ministry, and this past year has seen that unfold in a big way. In 2013, I accepted Jesus as my Lord and Savior and entered his saving grace! Thank you, Jesus! After doing life in the world (and my flesh) and falling into depression, anxiety, and sin, I realized the powerful truth of the Gospel and the Holy Love of God. I was then baptized in 2015. At that moment, coming out of the water, I understood the call of the great commission. I gave Him my life and received a burning passion to “go and make disciples” to build His kingdom. Since that time, my life has radically transformed. The last six years were the most intense, refining, concentrated, fulfilling, faith-building, and testing years of my experience. This time included meeting and having a long distance relationship with Mariam, who lived on the other side of the world in Australia. Then, she moved to England to live here as my wife. Next followed the birth of our children. In 2017, I started my studies at Christian Leaders Institute after my father-in-law graduated and encouraged me to study here too. I am thrilled that I did! The free ministry training at CLI is a blessing. Therefore, now I often recommend it to those I know for equipping them for their calling without cost. 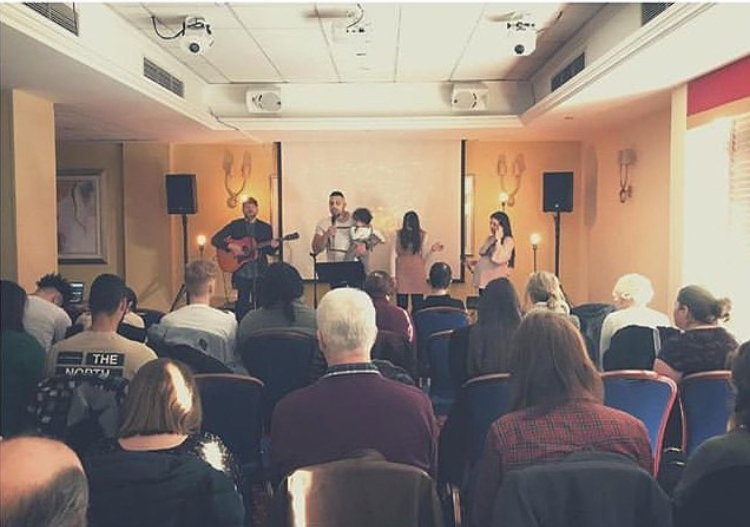 The heart of Open Space is to see the people of Newcastle upon Tyne met with the Truth of Christ. This meeting is through the Gospel preached in love. We see the Holy Spirit pour out His mighty power, love, grace, and peace in our city. Therefore, I long to see Newcastle on the United Kingdom revival map! My calling is to equip, empower and disciple the people (especially the young men) God entrusts us with from open space church. Then, we send them out in Jesus name to shine and live passionately and unashamedly for Christ. We desire to see the simplicity of being the church realized as a lifestyle as we focus on the things that bring the Lord’s joy. May we see many passionate believers free in Christ and doers of the word. May we see The Glory of the Lord in the Land of the living and a United Kingdom Revival. The deacon minister ordination program will give credibility to the studies and ministry that I am part of living out. I learned that many leaders like to see what qualifications you have in ministry. I believe that this ordination qualification with Christian Leaders Alliance will build relationships and break down walls in my ministry walk and the pursuit of the church coming together in our city. The wisdom and knowledge I received and continue to gain from the free ministry training at CLI build my confidence in the Word. As a confident leader, husband, and father, I can speak boldly and truthfully in and out of Sunday services. My training will be used to strengthen the church for the Glory of God humbly. We long for revival in Newcastle. Please partner in prayer with us for this United Kingdom revival. I pray that the church arises, the walls come down, and many receive salvation. 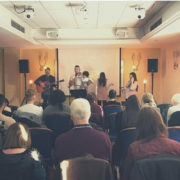 May Christ be glorified in Newcastle and beyond! I thank you for this opportunity, and may God bless you. Open Space church and I will continue to pray for the ministries of CLI.